Get a T-Rax shelving storage bay. 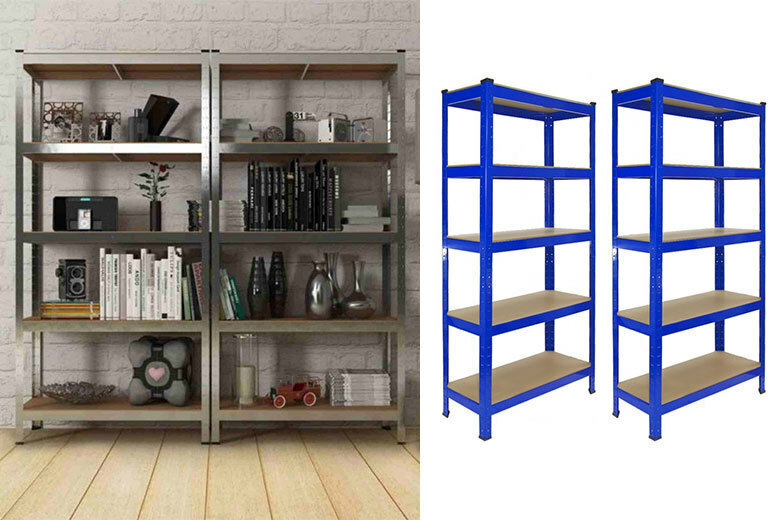 Choose between one or two shelving storage bays. Comes with five tiers of industrial, heavy duty shelving. Solid MDF boards make each shelf that can hold up to 150kg of evenly distributed weight. Each unit comes with a rubber mallet which is needed for assembly.